My journal is all friends only. You will not be added (back) if you do not fill this out and/or contact me, you still might not be added. NOT ACCEPTING ANY NEW FRIENDS RIGHT NOW. PLEASE TRY BACK LATER. What? 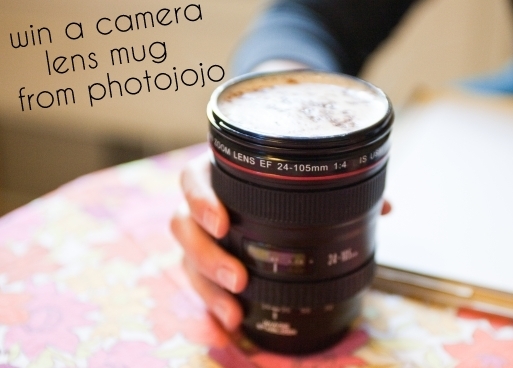 A camera lens mug! When? December 6th - 9th. How? Enter by simply leaving a comment telling us your favorite item from photojojo! Pretty pretty please make sure there is way to contact you if you win. Extra Entries? Of course! You can earn one extra entry by posting about this giveaway on your blog, tumblr, myspace, twitter, etc. Just leave a SEPARATE comment for each entry! Who can win? ANYONE, anywhere in the world!